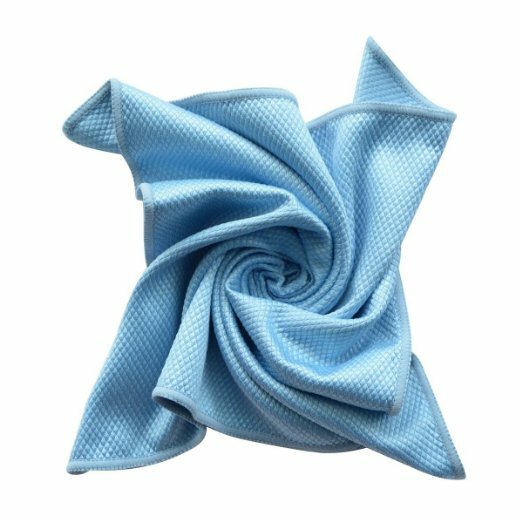 I just got this great set of five multifunction microfiber cloths from Magicfly. This is a great set of cloths. The cloths are microfiber, really soft and absorbent. They have a texture on them as well that make them really great for scrubbing items. You get five in this set so great to have one for each room. I use them mostly in the kitchen and bathrooms. The texture really helps for cleaning and scrubbing just about any item, since they are soft no worries about scratching the surface. They are a good size 11X12 inches. Easy to hold and use. Work great!